Most people these days do not have to get a white-collar job or do any laborious job to be rich because while some follow their passion, others follow their hobby and the latter is the case with regards to Garrett Watts. He is a famous YouTuber whose content is basically about his personal experiences and experiments. He doesn’t produce mind-boggling content but he definitely entertains his audience and has become famous for it. Garrett Watts began his self titled channel in 2012 and has built it since then to attract over 2 million subscribers. This may not look like a cumbersome kind of job but it takes some effort and consistency to get to where Garrett is now. His content includes insane facts, DIY videos, nerdy facts, among others. He has a humorous personality, a quality displayed in his videos often. Let us take a look into the life of the ever vibrant YouTuber, Garrett Watts. 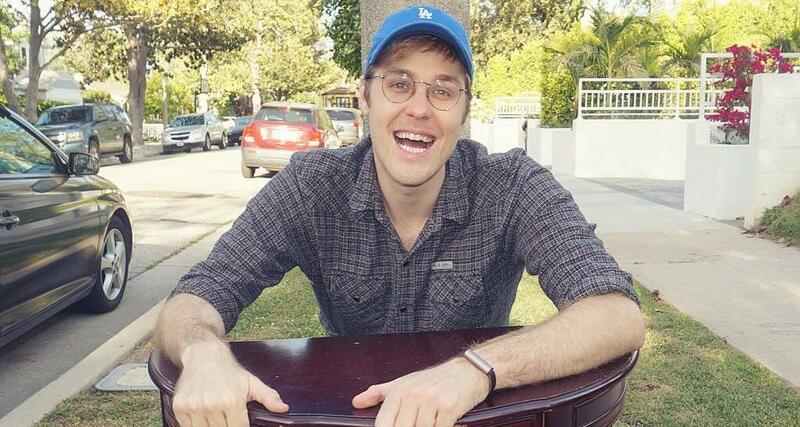 Garrett Watts was born on June 18, 1989, in Memphis, Tennessee. Much is not known about his childhood and family but he has a brother, Andrew, whose other details (and that of his parents) is not known. Garrett attended a high school in Mesa, Arizona and took his first job at the age of 14, although the nature of the job is also not known. He furthered his education after high school at the University of California, Los Angeles, where he obtained a degree in film making. One would wonder why he never pursued a career in film making, seeing the obvious lucrative nature of the field. It is not known what year Garret graduated from the University or whether he worked formally before entering the world of digital media television. He is best known for his eponymous YouTube channel – Garrett Watts. The channel was created on May 30, 2012, and its first video was titled Coco Goes to Target. It was a video about Miss Coco Peru, the drag queen persona of American actor Clinton Leupp, going to shop at Target. His second video was something similar, this time centered around another store, with the title Coco Goes to Walgreens. The number of views these videos attracted was enough to push him to begin another set of videos known as the Will It Combo series. This series included videos about food combinations that were purely experimental. His first video in this series was Ice Cream Nachos – Will It Combo?. His series became popular in no time and gained him a lot of viewership and subscription. He continued to upload more video on this series such as Reese’s Pizza – Will It Combo?, Deep Fried Halloween Candy – Will It Combo? and so on. This series spanned a long time but as it’s often said ‘variety is the spice of life’. Therefore, he began to augment his previous videos with other content such as house tour, insane facts, nerdy things, gold bike tours, life hacks and so on. Soon he garnered 2.4 million subscribers and over 70 million views in aggregate. In September 2018, Garrett Watts uploaded a video on fixing his unkempt house. He titled the video Organizing My Insane Hoarder House In 24 Hours which was also a massive hit. His videos have a general characteristic of being fun and fascinating, little wonder the number of viewerships they attract. He is also very active on Instagram and has a lot of followers. Garrett Watts is not only gay, but he is also openly gay. He is a proud member of the LGBTQ+ community. He is also known to have dated a social media influencer and YouTuber named Shane Dawson. The two met on a socializing app called Tinder, liked each other’s company and decided to date. During the period of their relationship, Shawn was featured on some of Garret’s videos. However, after months of dating, the couple broke up but have remained good friends ever since. 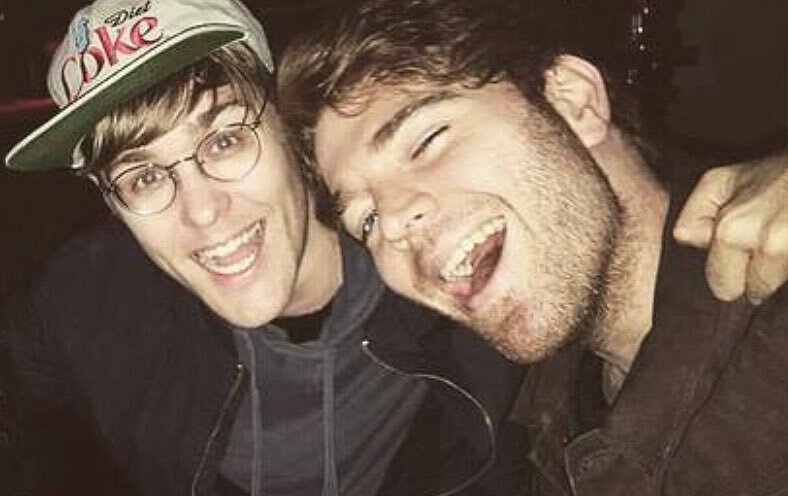 The YouTube star, Garrett Watts has a towering height of 6 feet and 4 inches. He also has an athletic body build and a weight of 84kg. His other body measurements are his chest size – 43 inches, waist size – 32 inches and biceps – 14 inches. • Garrett Watts maintains a cordial relationship with his YouTube colleagues. One of such friends is the popular YouTube star, Andrew Siwicki. • He is only known sibling is Andrew, his brother. He shares a very deep bond with this sibling. • Garrett had made a fortune from his YouTube channel and deserves to be called a YouTube star in every sense of the word. From his channel alone, he has been able to amass a net worth of $8 million.